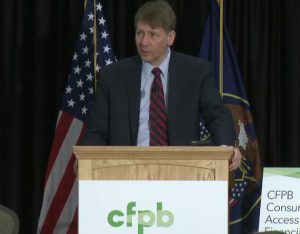 Consumer Financial Protection Bureau Director Richard Cordray today acknowledged that there are many unanswered questions about the security and technology of allowing consumers to provide third parties access to their personal financial data. Consumer Financial Protection Bureau Director Richard Cordray today acknowledged that there are many unanswered questions about the security and technology of allowing consumers to provide third parties access to their personal financial data. At a field hearing on the topic in Salt Lake City, he touted the value that accessing and sharing this data can have for customers but said the bureau is listening carefully to financial institutions’ point of view. 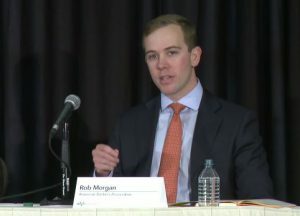 Testifying during the field hearing, American Bankers Association VP Rob Morgan emphasized that banks are actively developing ways to facilitate safe and secure data access. 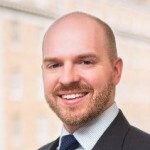 “Let me be clear, banks fully support and are working to ensure that their customers have the ability to safely share and control their data,” said Morgan. “This is not as easy as flipping a switch, as some have suggested. There is a lot of coordination that needs to go on between our nation’s 6,000 banks, their technology providers, data aggregators and their customers.” In order to promote innovative approaches, he recommended that the bureau avoid new regulations.